We now have an App for all mobile platforms. Just search “Truckers Against Trafficking” in the App Store or Marketplace, or click below for more help. 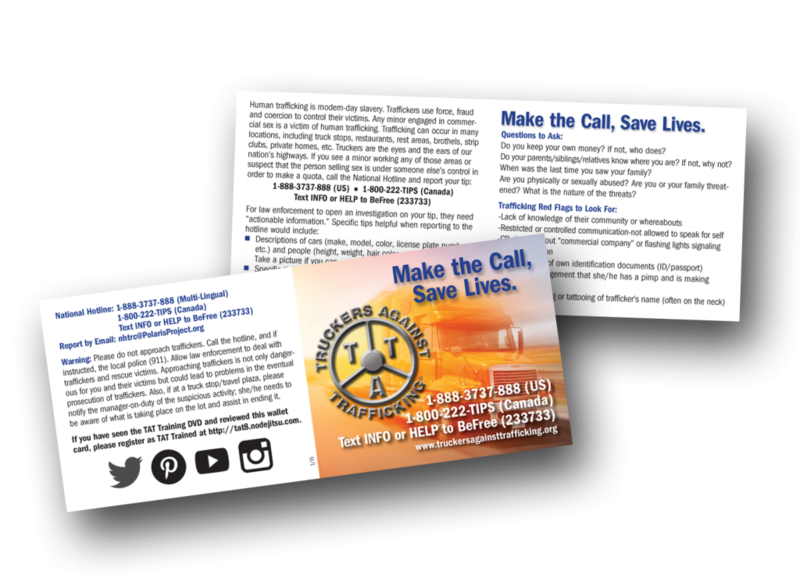 Use the TAT Wallet Card to stay aware and take action when you suspect human trafficking. If you would like a hard copy, email us at tat.truckers@gmail.com with your mailing information. Use the busing-specific BOTL wallet card to stay aware and take action when you suspect human trafficking. If you would like a hard copy, email us at tat.truckers@gmail.com with your mailing information. Watch this brief webinar to understand more about the TAT wallet card and how it can be a useful tool in the fight against trafficking.